Reusable, double-sided pressing work sheet for applying fusible web, appliqués, gluing applications for crafts, etc. Use as a pressing cloth when direct iron heat is not desired. 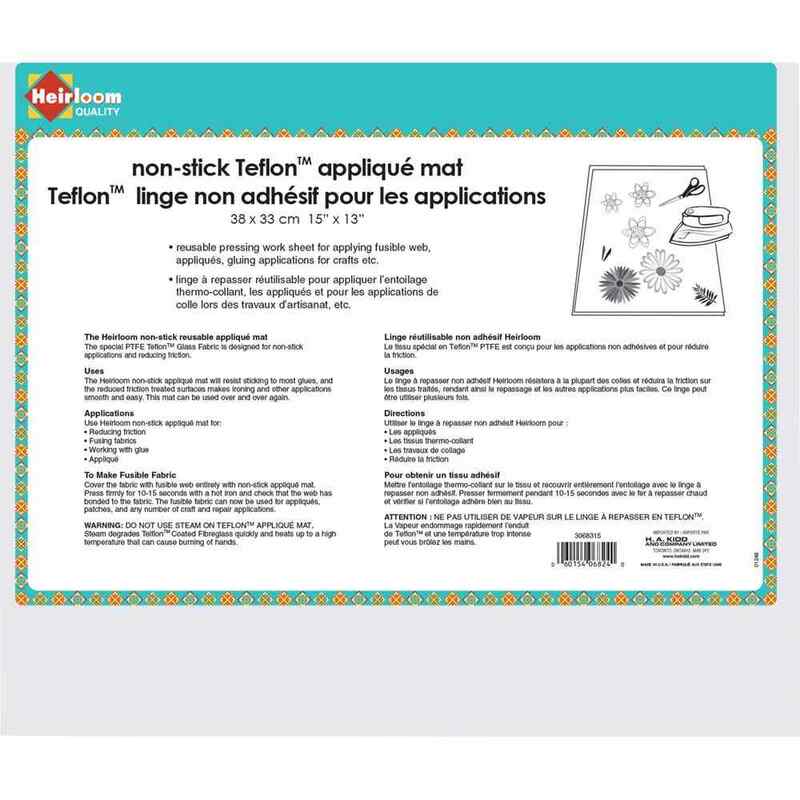 This special double-sided PTFE Teflon Glass Fabric is designed to reduce friction and provide a multi-purpose, non-stick surface where any substance from glue to paint wipes away easily.